Badar, Hamad, Ariyawardana, Anoma and Collins, Ray (2019) Dynamics of mango value chain in Pakistan. Pakistan Journal of Agricultural Science, 56 2: 523-530. Ariyawardana. A. Principles of Project Analysis. Sri Lanka: University of Peradeniya, 2009. Weerahewa, Jeevika, Kodithuwakku, Sarath S. and Ariyawardana, Anoma (2010). Fertilizer subsidy programme in Sri Lanka. In Per Pinstrup-Andersen and Fuzhi Cheng (Ed. ), Case studies in food policy for developing countries (pp. 1-12) Ithaca, NY, United States: Cornell University Press. Ariyawardana, A., Govindasamy, R. and Simon, J. E. (2009). The natural products industry: A global and African economic perspective. In H.R. Juliani, J.E. Simon and C.T. Ho (Ed. ), African natural plant products: New discoveries and challenges in chemistry and quality (pp. 7-28) Washington, DC: American Chemical Society. Weerahewa, J. and Ariyawardana, A. (2003). Impact of the WTO on women workers in Sri Lanka. In Trade, globalization and gender: Evidence from South Asia (pp. 327-393) India: United Nations. Ariyawardana, A. (2002). Globalization and agriculture in Sri Lanka: Comparative versus competitive advantage. In Essays in development issues: Felicitation volume in honour of Professor Thambapillai Jogaratnam (pp. 67-78) Sri Lanka: Sri Lankan Agricultural Economics Association. Badar, Hammad, Ariyawardana, Anoma and Collins, Ray (2015) Capturing Consumer Preferences for Value Chain Improvements in the Mango Industry of Pakistan. International Food and Agribusiness Management Review, 18 3: 131-148. Ariyawardana, A., Collins, R. and McNeil, D. (2014) The value of enhancing nutrient bioavailability of lentils: the Sri Lankan scenario. African Journal of Food, Agriculture, Nutrition and Development, 14 7: 9529-9543. A changing consumer climate: are we ready to adapt? Lim-Camacho, Lilly, Crimp, Steve, Lewis, Gemma, Ariyawardana, Anoma and Howden, Mark (2014) A changing consumer climate: are we ready to adapt?. Grape Grower and Winemaker, 607: 11-11. The future of Sri Lankan agri-business: what needs to be done? Ariyawardana, Anoma, Govindasamy, Ramu and Puduri, Venkata (2010) Factors influencing the willingness-to-pay for ethnic specialty produce in the Eastern Coastal United States. Journal Food Distribution Research, 41 3: 98-109. Ariyawardana, A. (2010) The economic importance of the urban agri-food processing industry in Sri Lanka. Sanvardana, 3 2: 33-42. Govindasamy, R., Britel, A., Ariyawardana, A., Mohammed, E. M. and Shaqir, I. (2009) Herbal, aromatic, and medicinal plants industry in Morocco: the way forward. ICFAI Journal of Agricultural Economics, 6 3-4: 45-55. Ariyawardana, A., Buddhika, R. P. T. and Ariyawardana, A. (2009) Perceptions and preferences of diabetic patients for parboiled red rice. Sri Lankan Journal of Agricultural Sciences, 46 64-71. Tirimanne, D.N. and Ariyawardana, A. (2008) Use of organizational design features in purchasing: The case of garment manufacturing firms in Sri Lanka. Journal of Management Research, 8 3: 162-167. Fonseka, M. M. and Ariyawardana, A. (2007) Financial factors influencing the purchase of export credit insurance (ECI) in Sri Lanka. Tropical Agricultural Research, 19 335-345. Ariyawardana, Anoma (2003) Sources of competitive advantage and firm performance: the case of Sri Lankan value-added tea producers. Asia Pacific Journal of Management, 20 1: 73-90. Ariyawardana, A. and Nithiyanandam, V. (2003) Changing food consumption patterns and its implications on agribusiness in Sri Lanka. Economic Review, 29 4/5: 29-33. Ariyawardana, Anoma, Nithiyanandam, V. and Bailey, William C. (2003) Globalization challenges for tea producing countries: the case of Sri Lanka. SAARC Journal of Agriculture, 1 1: 209-221. Ariyawardana, A. and Bailey, W. C. (2003) Investigation of strategic group formation using cluster analysis. Sri Lankan Journal of Applied Statistics, 4 47-57. Ariyawardana, Anoma and Weerahew, Jeevika (2003) Role of women in spice cultivation. Economic Review, 29 8/9: 26-28. Ariyawardana, A. and Bogahawatte, C. (1996) Fertilizer use in rubber cultivation: An application of multivariate logit analysis. Sri Lankan Journal of Agricultural Sciences, 33 141-158. Abeygunawardana, P. , Idirisinghe, I.M.S.K. and Ariyawardana, A. (1996) Forecasting of coconut prices: A vector autoregression approach. Sri Lankan Journal of Agricultural Sciences, 33 159-181. Ariyawardana, A., Lim-Camacho, L., Lewis, G. and Crimp, S. (2015). Consumer acceptance of climate adaptation strategies in Australian agribusiness. In: 25th Annual World Symposium of the International Food and Agribusiness Management Association, Minneapolis, MN, United States, (). 13-17 June 2015. Ariyawardana, A. (2015). Consumers’ trust on vegetable supply chain members: an Australian perspective. In: 25th Annual World Symposium of the International Food and Agribusiness Management Association, Minneapolis, MN, United States, (). 13-17 June 2015. Tung, H. T. , Ariyawardana, A. and Pham, T. H. T. (2015). Sustainable development of food supply chains from a consumers’ perspective: A case study of plum supply chain in the North-West Upland, Vietnam. In: Going Green – Eco Design 2015, Tokyo, Japan, (). 2-4 December 2015. Badar, H., Ariyawardana, A. and Collins, R. (2015). Sustainable mango industry development in Pakistan: a value chain perspective. In: 25th Annual World Symposium of the International Food and Agribusiness Management Association, Minneapolis, MN, United States, (). 13-17 June 2015. Badar, H., Ariyawardana, A. and Collins, R. (2014). An insight into mango value preferences of consumers in Pakistan. In: 29th International Horticulture Conference, Brisbane, QLD, Australia, (). 18-22 September 2014. Badar, Hammad, Ariyawardana, Anoma and Collins, Ray (2014). Capturing consumer preferences for value chain improvements in the mango industry of Pakistan. In: IFAMA 2014 Symposium: Proceedings. 24th Annual World Symposium of the International Food and Agribusiness Management Association (IFAMA 2014), Cape Town, South Africa, (1-16). 16-19 June, 2014. Ariyawardana, A. and Ganegodage, K. R. (2014). Consumer concerns and responses to safety of vegetables: Queensland, Australia. In: 29th International Horticulture Conference, Brisbane, QLD, Australia, (). 18-22 September 2014. Lim-Camacho, L., Lewis, G., Somogyi, S., Ariyawardana, A. and Crimp, S. (2014). Consumer perspectives of adaptation in the food sector. In: The National Climate Change Adaptation Research Facility (NCCARF), Gold Coast, QLD, Australia, (). 30 September – 2 October 2014. Crimp, S., Lim-Camacho, L., Doer, V., Howden, M., Ariyawardana, A., Lewis, G. and S. Somogyi (2014). Exploring adaptation options across food value chains: the role of climate futures. In: The National Climate Change Adaptation Research Facility (NCCARF), Gold Coast, QLD, Australia, (). 30 September – 2 October 2014. Sun, X., Ariyawardana, A., Collins, R., Concepcion, S., Gabunada, F., Abamo, T., Nicetic, O., Maunahan, D., Nuevo, P. and Somogyi, S. (2014). Market opportunities to improve vegetable value chains and rural livelihoods in the Southern Philippines. In: 29th International Horticulture Conference, Brisbane, QLD, Australia, (). 18-22 September 2014. Nzomo, E., Ariyawardana, A., Sila, D. and Sellahewa, J. N. (2014). Reaping the potential benefits of amaranth: value chain challenges ahead for Kenya. In: 29th International Horticulture Conference, Brisbane, QLD, Australia, (). 18-22 September 2014. Ariyawardana, Anoma and Collins, Ray (2013). Competitive landscape of the Australian vegetable industry. In: IFAMA 23rd Annual World Forum and Symposium Proceedings. 23rd Annual IFAMA World Forum and Symposium, Atlanta, GA, U.S.A., (). 17-20 June, 2013. Nzomo, Esther Mwikali, Ariyawardana, Anoma and Sila, E. (2013). Evaluation of consumer preferences and consumption behaviors of amaranth products in Kenya. In: IFAMA 23rd Annual World Forum and Symposium Proceedings. 23rd Annual IFAMA World Forum and Symposium, Atlanta, GA, U.S.A., (). 17-20 June, 2013. Samarasinghe B. R. and Ariyawardana, A. (2012). Post-migration food habits and its implications on marketing: the case of Sri Lankans living in NSW, Australia. In: Symposium 2012 Papers. 22nd Annual IFAMA World Forum and Symposium, Shanghai, China, (). 11-12 June 2012. Ariyawardana, A., Govindasamy, R., Gunaratne, L. H. P. and Lisle, A. (2012). Sri Lankan consumer preference for red lentils: a conjoint approach. In: Symposium 2012 Papers. 22nd Annual IFAMA World Forum and Symposium, Shanghai, China, (). 11-12 June 2012. Abeywickrama, D. C. , Ariyawardana, A. , Gunaratne, L. H. P. , Govindasamy, R. and Weligamage, P. (2010). Consumer Preference for Red Lentils: A Conjoint Analysis. In: 4th Annual Research Forum of the Sri Lanka Agricultural Economics Association, Peradeniya, Sri Lanka, (). 17 December, 2010. Hashik, S. and Ariyawardana, A. (2010). Strategic capabilities of women-owned small business in Kandy, Sri Lanka and its impact on business performance. In: 12th National Convention on Women’s Studies, Colombo, Sri Lanka, (). 2-5 July 2010. Consumers’ willingness to pay for organic ethnic specialty produce in the U.S.A.
Ariyawardana, A., Govindasamy, R. and Puduri, V. (2009). Consumers’ willingness to pay for organic ethnic specialty produce in the U.S.A.. In: Proceedings of the International Conference on Applied Economics (ICOAE). International Conference on Applied Economics (ICOAE), Kastoria, Greece, (39-46). 27-30, May, 2009. 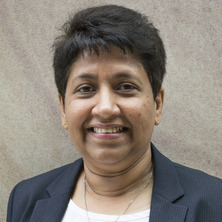 Fonseka, M.M. and Ariyawardana, A. (2009). Risk perception and financial factors affecting on corporate purchasing decision of export credit insurance (ECI) in Sri Lanka. In: 6th International Conference on Business Management, Colombo, Sri Lanka, (). 25 March, 2009. Raj, K.H.A.M.M. and Ariyawardana, A. (2008). Analysis of selection criteria used in buying tractors. In: 2nd Annual Research Forum of the Sri Lanka Agricultural Economics Association, Peradeniya, Sri Lanka, (). 3 October, 2008. Buddhika, R. P. T. and Ariyawardana, A. (2008). Attitudes toward parboiled red rice among diabetic patients attending the teaching hospital, Peradeniya. In: 2nd Annual Research Forum of the Sri Lanka Agricultural Economics Association, Peradeniya, Sri Lanka, (). 3 October, 2008. Sriskandarajah, A. and Ariyawardana, A. (2007). Market orientation and performance: The case of food and beverage industry of Sri Lanka. In: 1st Annual Research Forum of the Sri Lanka Agricultural Economics Association, Peradeniya, Sri Lanka, (). 21 September 2007. Tirimanne, D. N. and Ariyawardana, A. (2007). Organizational design features and its influence on purchasing performance: The case of garment manufacturing firms. In: Annual Research Sessions, University of Peradeniya, Peradeniya, Sri Lanka, (). 30 November 2007. Yapa, K. D. A. J. and Ariyawardana, A. (2006). Willingness-to-pay for extension services: the case of tea smallholders in Galle district Sri Lanka. In: International Conference in Agricultural Research and Development, New Delhi, India, (). 15-18 February 2006. Gunawardena, A.U.H. , Ariyawardana, A. and Weligamage, P. (2005). An analysis of the well-being of Samurdhi beneficiaries. In: 10th Annual Research Sessions, Peradeniya, Sri Lanka, (). 10 November 2005. Gunawardena, A.U.H. and Ariyawardana, A. (2005). Comparison of current status of well-being of Samurdhi beneficiaries with respect to their business activities. In: 10th International Conference on Sri Lankan Studies, Kelaniya, Sri Lanka, (). 16-18 December 2005. Ariyawardana, A. (2005). Globalization and the future challenges for high-value agriculture in Sri Lanka. In: South Asia Regional Conference (SARC), Globalization of Agriculture: Has it made a Difference to Rural Livelihoods, Hyderabad, India, (). 23-25 March 2005. Ariyasena, K. D. N. and Ariyawardana, A. (2005). Role of the poverty alleviation programme (Samurdhi credit component) in empowering women in Sri Lanka. In: 6th International Conference on Engendering Macroeconomics and International Economics, Salt Lake City, UT, United States, (). 12-13 June 2005. Salgadu, A. M. P. S. and Ariyawardana, A. (2004). An analysis of the patterns of expenditure on cooking oils of urban consumers in Colombo. In: Proceedings of the Coconut Research Institute Diamond Jubilee International Conference, Colombo, Sri Lanka, (). 8-10 September 2004. Ekanayake, S. , Weerahewa, J. and Ariyawardana, A. (2004). Role of mothers in alleviating child malnutrition: Evidence from Sri Lanka. In: 9th National Convention on Women’s Studies, Colombo, Sri Lanka, (). 20-23 March 2004. Weerahewa, J. and Ariyawardana, A. (2004). WTO and the women in garment and spice industry of Sri Lanka. In: 5th International Conference on Engendering Macroeconomics and International Economics, Salt Lake City, UT, United States, (). 20-22 June 2004. Proceedings of the International Conference on Applied Economics (ICOAE) (2009) . International Conference on Applied Economics (ICOAE), 27-30 May 2009, Kastoria, Greece. 8th International Conference on Sri Lankan Studies (2001) . 8th International Conference on Sri Lankan Studies, 7-10 November 2001, University of Rajasthan, Jaipur, India. Proceedings of the 7th Sri Lanka Studies Conference on Asia, Sri Lanka and the Diasporic Communities (1999) . 7th Sri Lanka Studies Conference on Asia, Sri Lanka and the Diasporic Communities, 3-6 December 1999, Canberra, Australia. Govindasamy, R. , Puduri, V. , Ariyawardana, A. , Simon, J. , Juliani, R. H. , Jefthas, E. , Goliath, J. and Acquaye, D. (2009). South African community farming: Baseline survey results. , Department of Agricultural Food and Resource Economics, Rutgers, The State University of New Jersey, USA. Agribusiness Development: What is to be done? Ariyawardana, A. and Nithiyanandam, V. (2000). Changing food consumption patterns in Sri Lanka. Working Paper Series No. 00.30 , College of Business, Massey University, New Zealand. Ariyawardana, A., Nithiyanandam, V. and Bailey, W. C. (1999). Shift share analysis of Sri Lanka's export sector performance. Working Paper Series No. 99.26 , College of Business, Massey University, New Zealand. Beliefs of senior managers and their impact on market orientation: An Australian owner-managed, vertically-integrated horticultural enterprise perspective.